Well-established luxury fashion houses with rich histories and a fixed calendar for Haute couture production have been wholly disrupted by today’s fast fashion world. Traditionally, high fashion centred on an exclusivity that capitalised on painstaking craftsmanship and a sense of heritage. This concept of history and the design process is almost antithetical to the innovation, efficiency and immediacy of contemporary fashion. In the sink-or-swim climate of the current retail industry, how can luxury fashion adapt itself to the changing needs of the market whilst maintaining the integrity of an established brand? This need to reconstruct what was once the typical luxury retail strategy is underscored by the increasing importance of the millennial consumer. Research by Deloitte has shown millennials to be the key market for growth in the coming years with 63% of millennials stating they were very interested in buying high-end fashion items. For this audience, consumption of fashion is driven by social media platforms such as Instagram that offer quick and unexclusive access to the latest and most creative visual designs. As LVHM CEO put in an interview with McKinsey & Company, ‘creativity is the lifeblood of fashion’. Pairing creativity with increased optimisation of the production process is essential for survival in high-end fashion. Of course, this pressure to produce ready-to-wear fashion at an increasingly swift pace is sometimes at odds with core brand values. Some people have labelled the accelerated fashion industry cycles as a creativity crisis. In response to the changing luxury landscape, fashion houses are pushing out a higher number of collections and shorter design cycles. This has led to a high turnover among creative directors and there has been an alarming number of designer exits at brands such as Calvin Klein, Saint Laurent, Balenciaga, Christian Dior and Oscar de la Renta. The pressure on the creative process is more intense than ever. Yet, despite an increasingly rapid production turnaround, consumers are unwilling to compromise on quality. Recent research has highlighted how quality is a key driver for luxury purchases across the globe with buyers having a keen eye for craftsmanship and handmade products. In the past, luxury brands trying to maintain a foothold in many different global locations often created products with the aim of marketing them in a one-size fits all approach. The reaction to globalisation has seen an increased demand for personalisation and unique pieces. Producing a variety of lines for different markets and demographics is key. For today’s consumer, quality also means sustainability. Particularly in emerging markets such as Asia, the sustainability of products is at the forefront of shoppers mind with more than 65% of emerging market consumers actively seeking sustainable fashion versus 32% or less in mature markets. High-end fashion must set itself against the mass-produced, environmentally damaging retailers who dominate the high street. What does luxury feel like? This is the key question that fashion houses are beginning to explore when envisioning their business. Consumers want the sense of grandeur and elegance encapsulated in the whole shopping experience, not merely in the product. 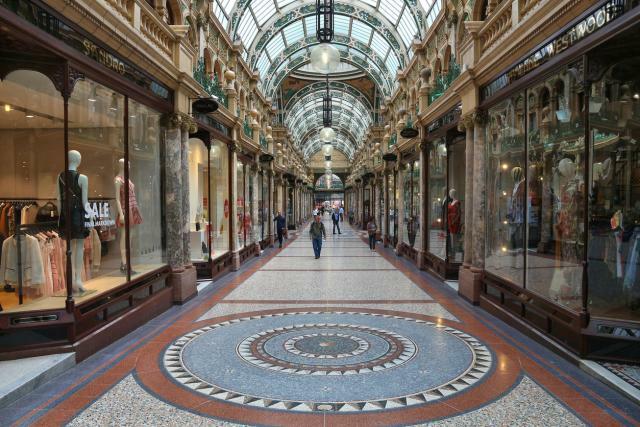 As we’ve discussed before, brick and mortar retail is an integral aspect of the retail environment - no matter what some retail cynics may postulate. Despite increasing online sales, the power for in-store retailers lies in the pleasure of the shopping experience. An online discount culture has lead off-price shopping to account for 75% of apparel purchases. Even in China, outlet shops are booming and in the U.K. there are now six mark-down periods across the year. Such promotional strategies create a ‘race to the bottom’ retail environment where the only differentiator is the price. Yet, luxury retail is not immune in this discount bonanza. 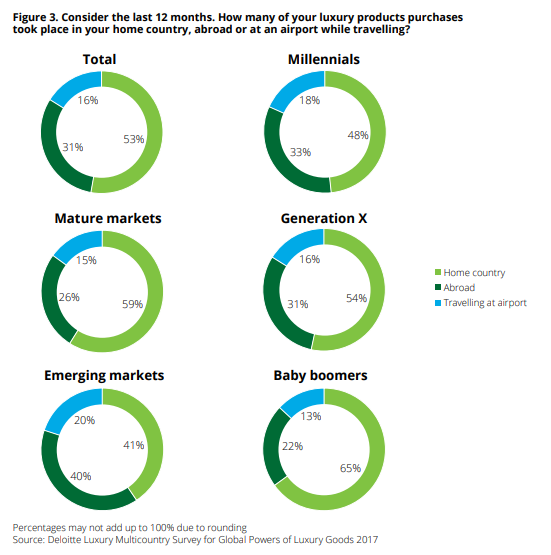 Even though luxury online sales have increased from 3% in 2010 to 12% in 2017, consumers turn to high-end for the experience of luxury and this often best articulated in-store. Delighting luxury consumers in-store means more than filling a space with marble and expensive looking fittings. It’s about crafting a customer journey that delights them at every turn, and a key component of that ‘luxury’ customer journey is service. A pleasurable aesthetic is just part of the package of a charming experience. Selecting additional services that can be provided in-store will enhance the luxury experience and offer the consumers the types of personalisation they desire. Convenient delivery is one such service that is proving to be important for high-end fashion. Delivery doesn’t merely compete with the convenience of online purchasing, but it’s a complimentary service that capitalises on some of the key trends in luxury consumers shopping habits. Research is showing travel and tourism to be a key driver for purchasing in high-end fashion. Almost half of all luxury purchases are made by consumers who are travelling, either in a foreign market (31%) or while at an airport (16%). These changes in shopping habits can partly be attributed to fluctuations in the currency market. This can lead travellers to pick out and travel to locations where the price is more favourable. A premium is charged in Asian markets for all brands and the price difference between Europe and China varies massively from 20% to 70% depending on the brand. Despite the uncertainty surrounding Brexit, the decrease in valuation of the pound has led to the increased popularity of London as a luxury fashion destination. It remains particularly popular with visitors from China, Russia and the Middle East and London is now one of the biggest luxury shopping markets. Cities such as London are urban engines that are becoming central to the evolution of high-end fashion. City-based strategies are much more effective than country-wide strategies and selecting the right services to attract the travel and tourism market is key. Offering same-day delivery in London stores allows tourist customers the convenience of having their purchases delivered directly to their accommodation at a time that suits them. The changing behaviour of the luxury shopper highlights aspects of fashion strategies that are yet to be optimised. As millennials gain in importance and they become more demanding in the types of personalisation they wish to see, it is up to luxury retail to be able to offer them the unique, engaging experiences that can’t be found at another store. Crafting the ultimate customer journey where consumers respond not just to the creativity of the product but to the whole brand experience is essential. Luxury fashion stores must market themselves on a global stage, yet the nuances of each location and store must feel distinct. In the coming years, it will be quality, personalisation and the in-store experience that defines successful fashion houses.